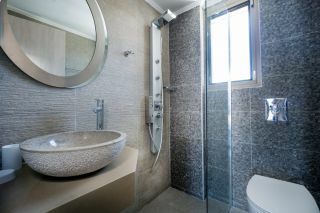 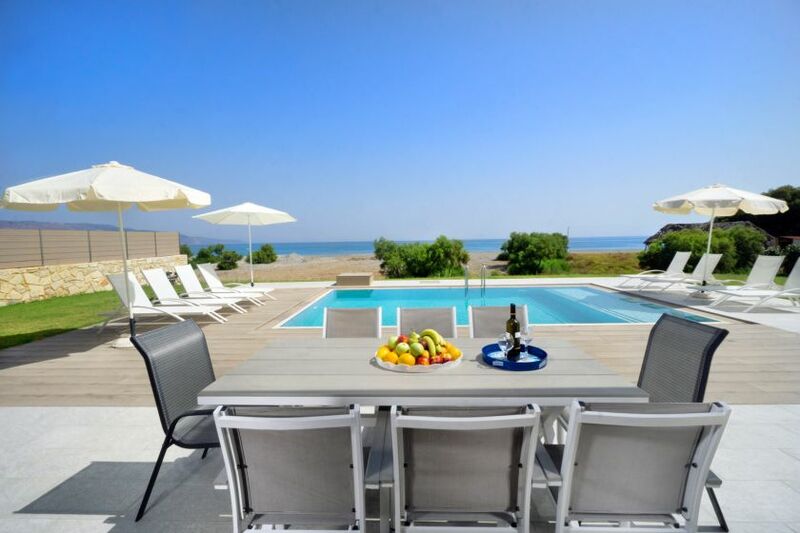 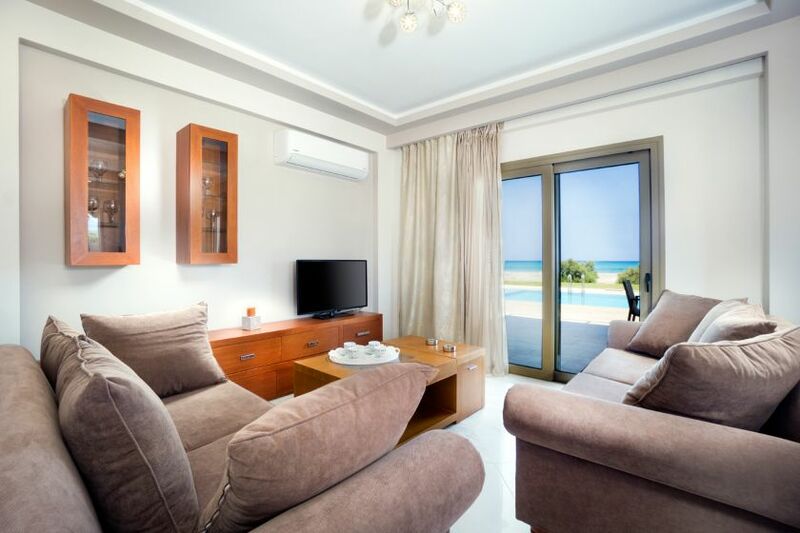 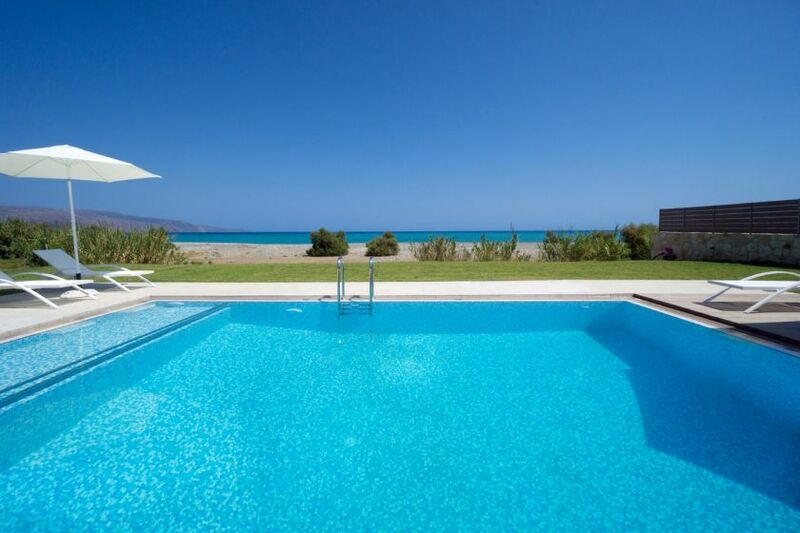 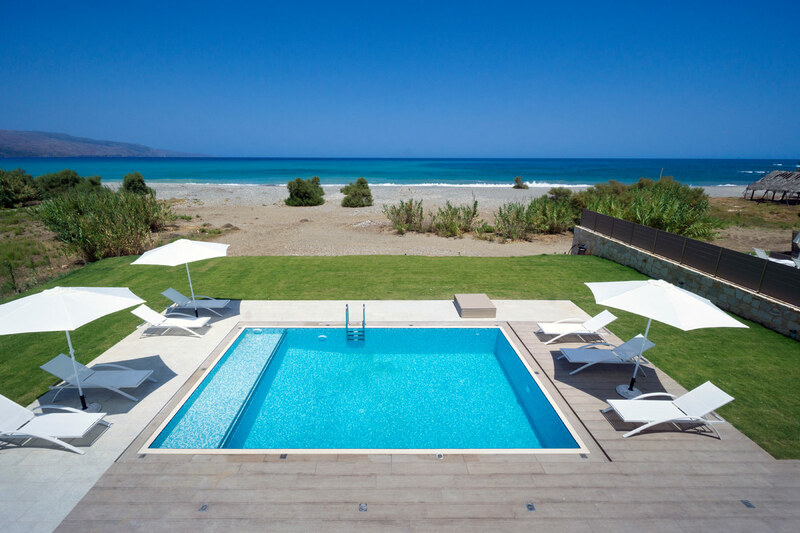 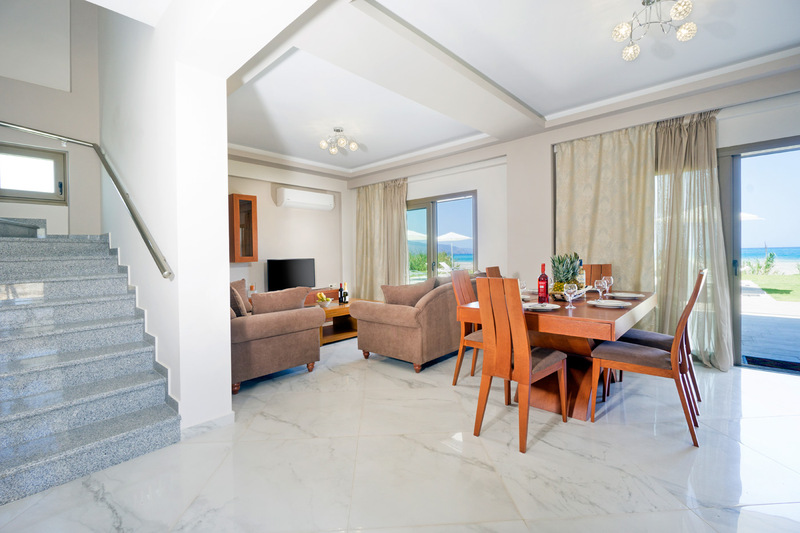 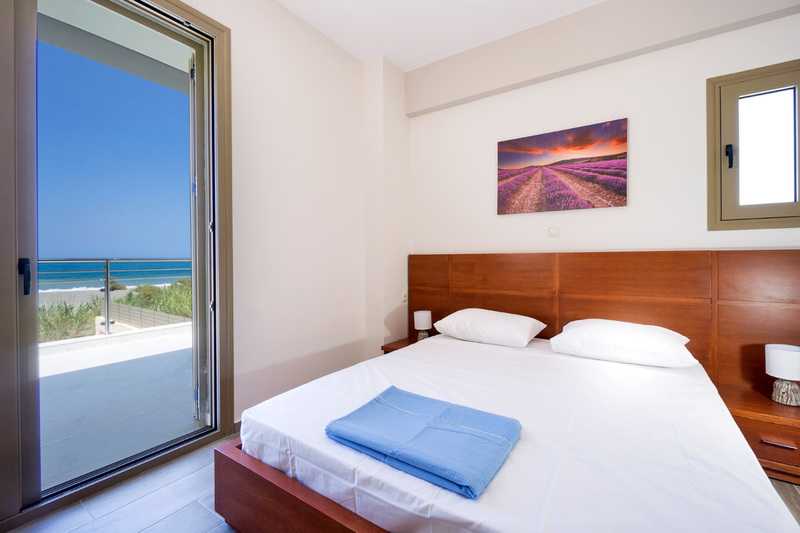 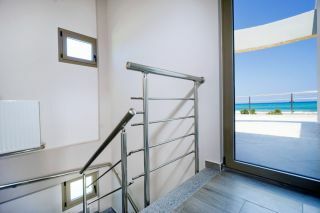 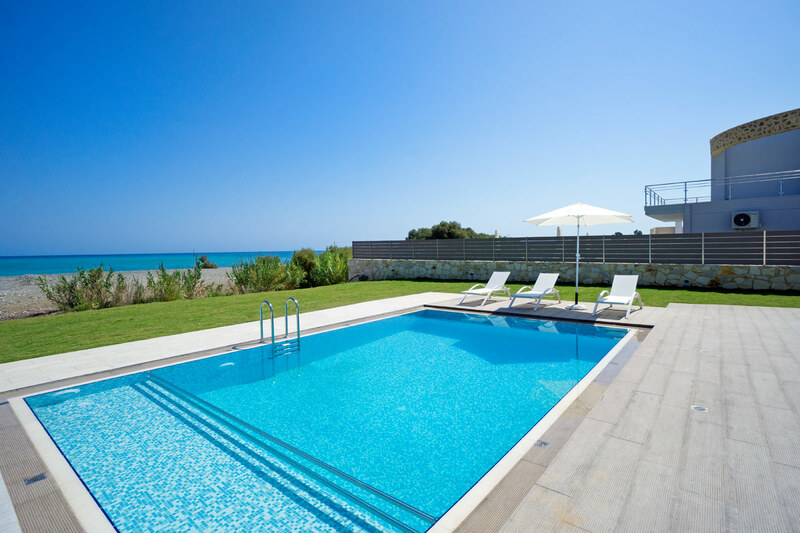 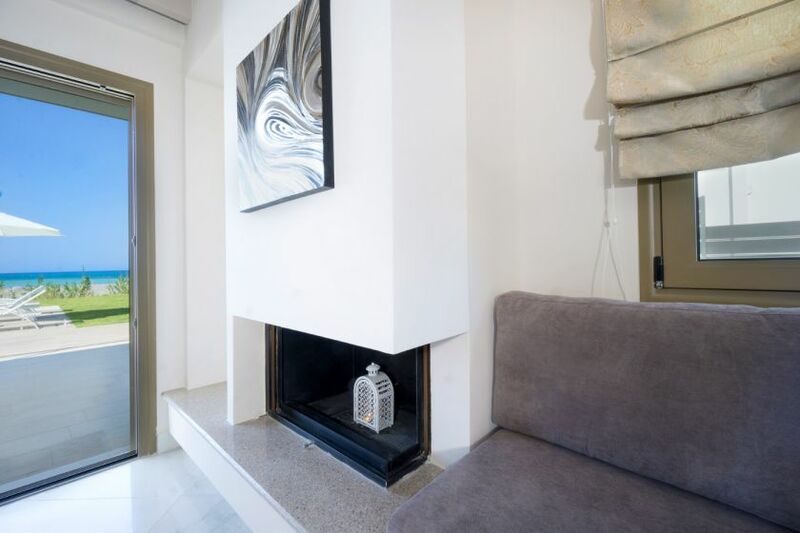 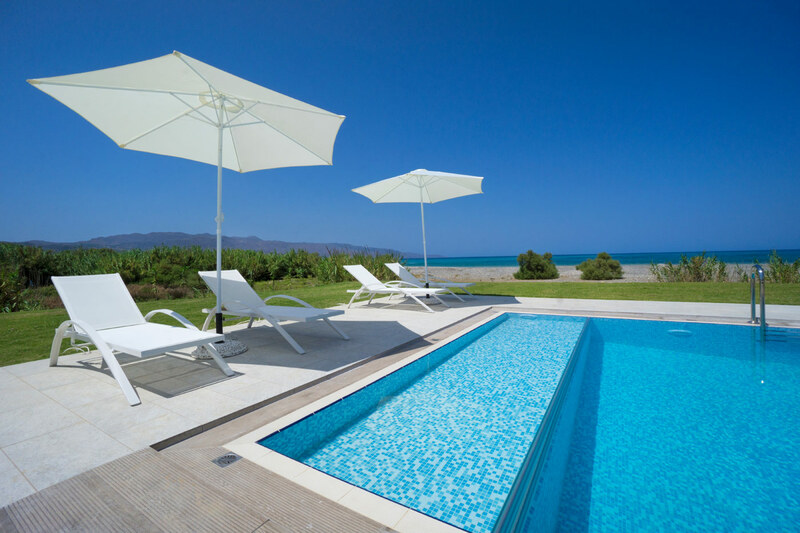 Beach villas are two seafront, modern 4-bedroom villas each with a private pool and lovely sea views, in front of the mixed sandy and shingle beach of Tavronitis, 25 km west of the picturesque town of Chania. 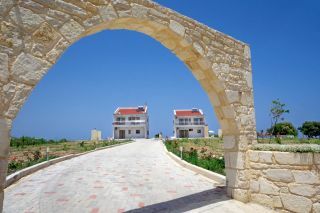 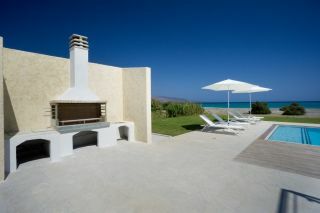 Every Villa has a lovely courtyard with a sea view pool and a barbecue corner. 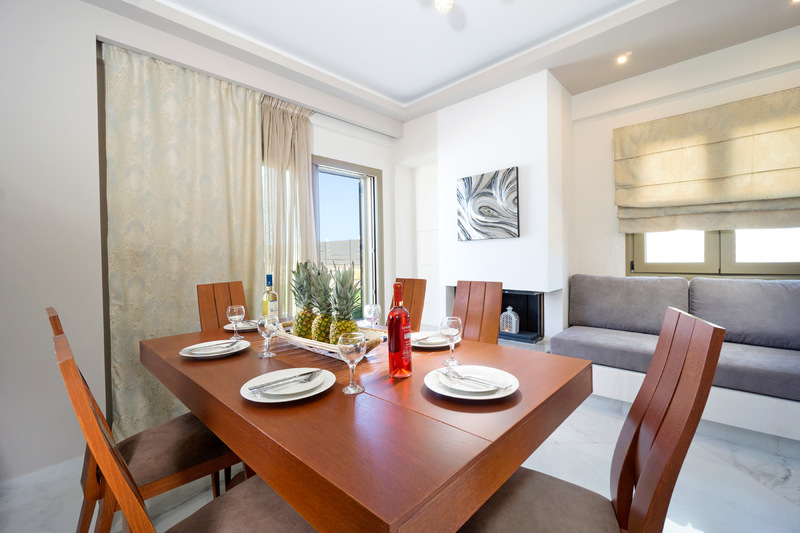 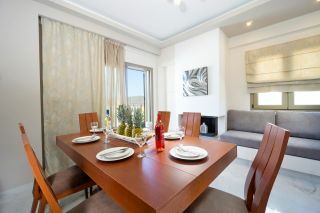 An open plan area with a living room corner with TV, a fully equipped kitchen, and a dining table are provided on the pool floor. 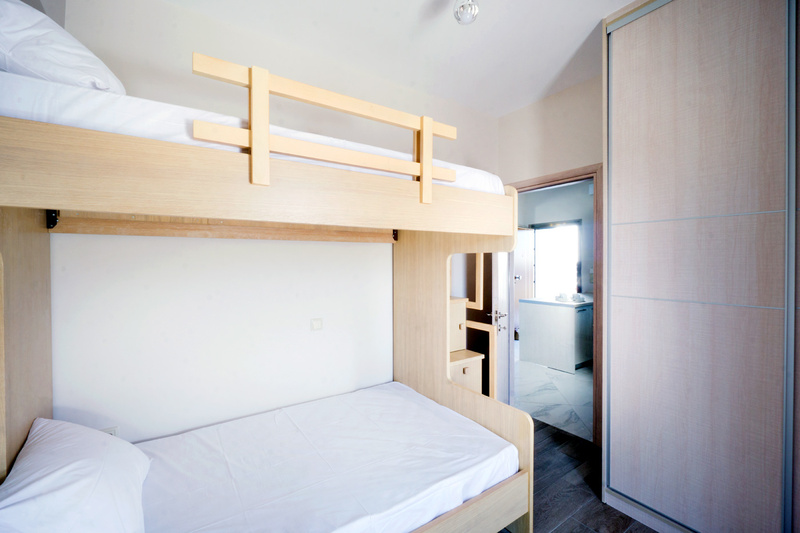 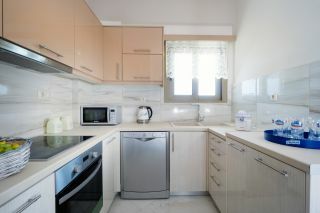 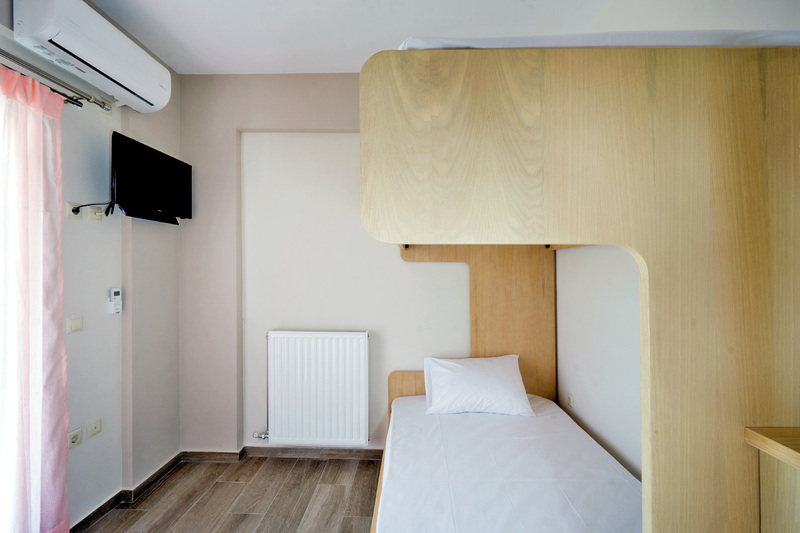 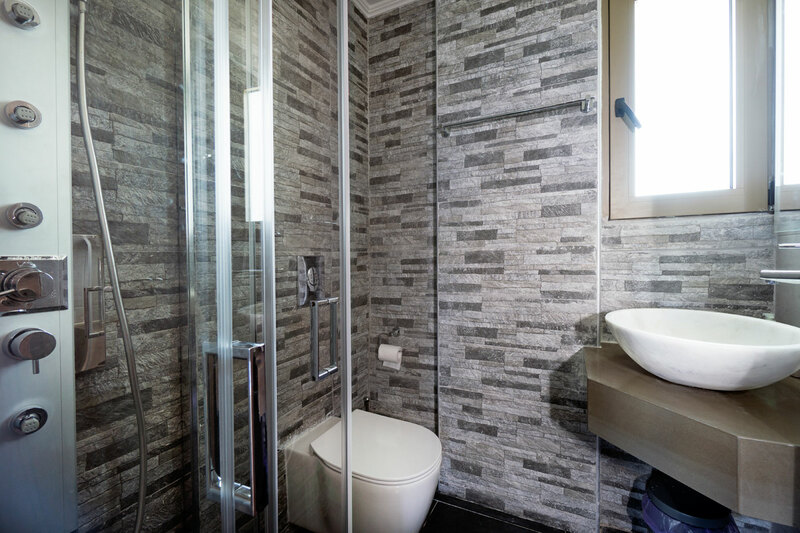 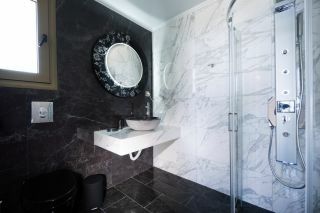 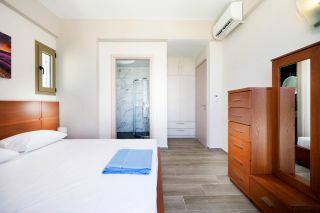 One bedroom with two bunk-beds and a common bathroom with washing machine are also available on this floor. 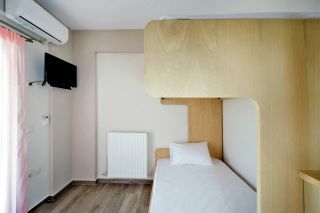 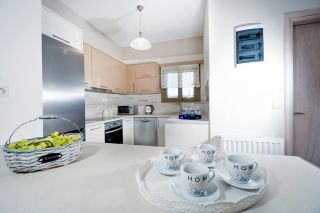 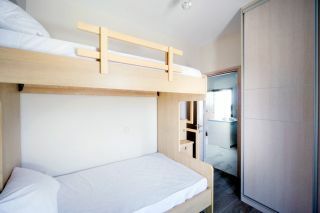 Two bedrooms with one double bed and one en-suite bathroom each, as well as one bedroom with two bunk-beds are provided on the upper floor. 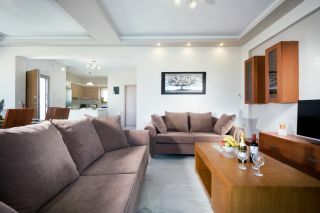 Wireless internet is provided free of charge. 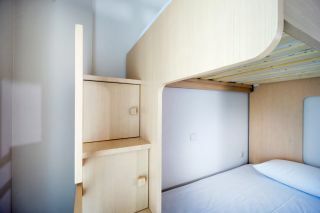 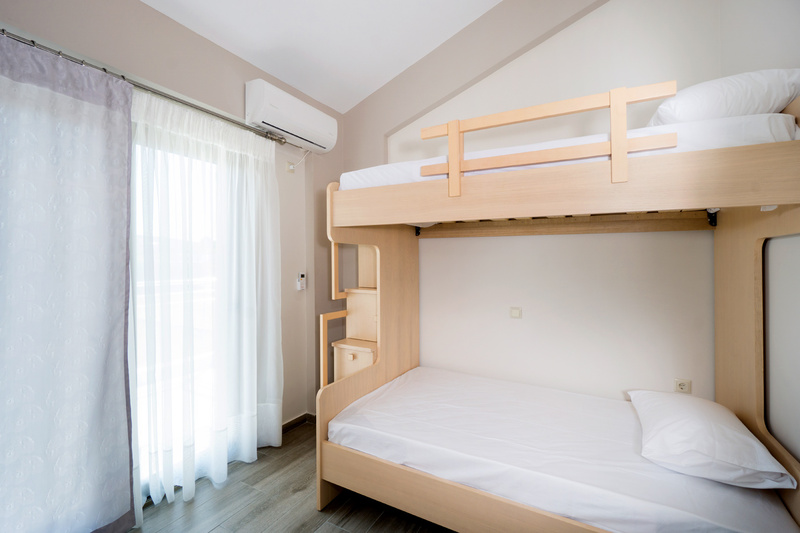 Air-condition is every bedroom is offered as well. 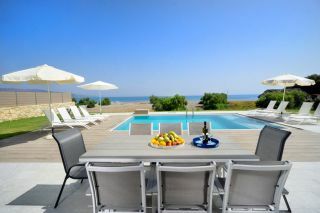 All guests can enjoy a few seaside local taverns at about 300 meters away. 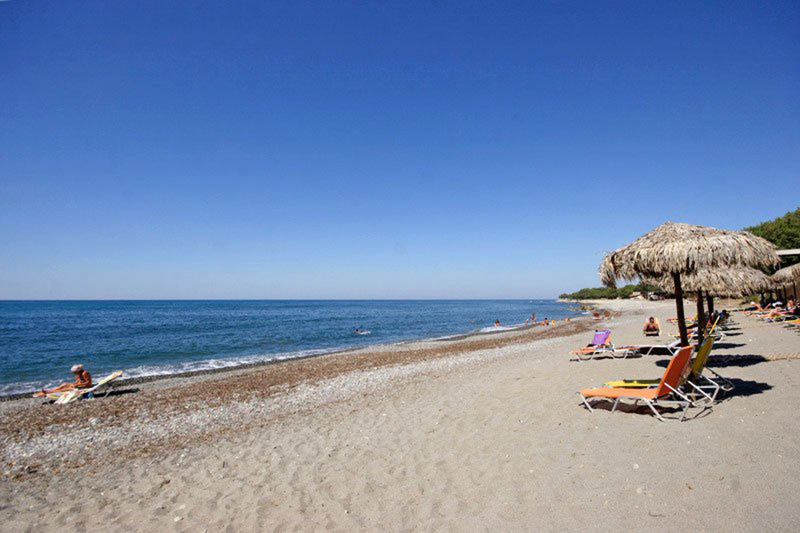 At 1 km distance, there is the center of the village of Tavronitis with a few shops, traditional cafes, taverns and mini-markets, a bakery, a butcher, a pharmacy, and a patisserie. 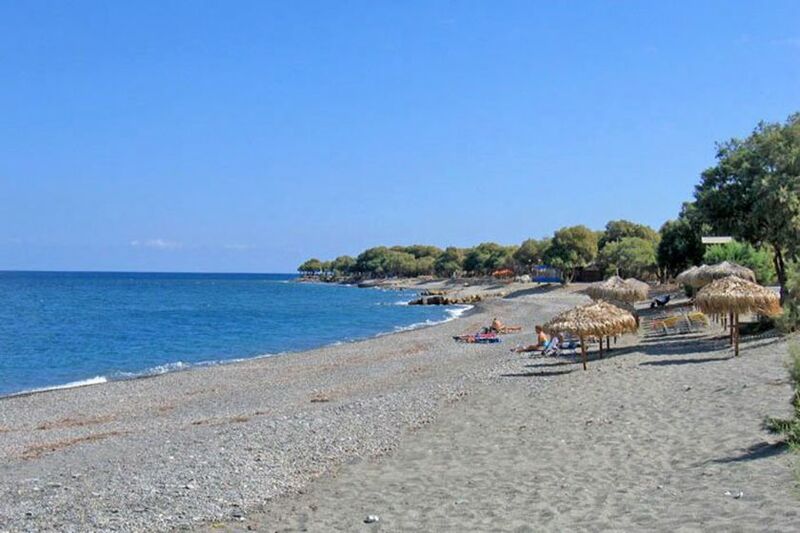 To enjoy nightlife, you can visit the town of Platanias, at 10 km away.